After the sudden and tragic death of Philip David Gray in Vietnam in May 2005, a charitable trust was established as a lasting memorial to him and to his work. From the age of 16 Phil’s goal was to work in international development. 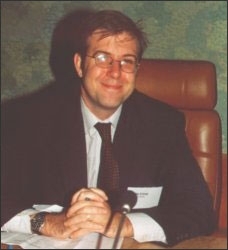 He achieved his ambition when he joined the World Bank in 1995. 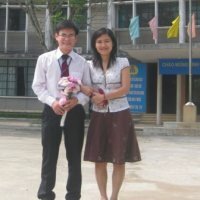 In February 2004 he became a member of the energy infrastructure team in Vietnam working in the Hanoi office. Philip was born in 1968 in Springfield, Ohio, USA. He came to Scotland in 1974 with his parents and attended primary school in Aberdeen and Invergordon and secondary school at Daniel Stewarts and Melville College, Edinburgh, where he was active in the music department and local orchestras as a trumpet player. After a gap year spent working in India and in Boston, he earned a BSc in International Development from the London School of Economics and an MPhil in Economics from Oxford. After Oxford he worked with Oxera, a consultancy firm, on electricity privatisation regulation. He joined the World Bank in 1995 and held several positions in Washington DC, working throughout Africa, the Middle East, South America, Afghanistan and elsewhere. 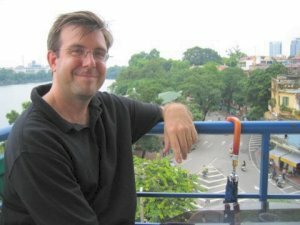 In 1998, Phil married Saida Benkouiten and in February 2004, Phil and Saida moved to Hanoi where Phil took up a post as Senor Energy Specialist in the Vietnam office of the World Bank. Phil collapsed and died suddenly on Sunday 8 May 2005 while at his home in Hanoi. Phil is remembered for his professional and insightful contributions and leadership, for his high integrity and faith. Colleagues and friends wrote of his innate gentleness and warmth, his quiet but considerable intelligence, his curiosity and his sense of humour. In Hanoi he shared in many social roles – his regular attendance with the Red River Runners, his speech revealing his Scottish roots at the Burn’s Night Supper and his membership of the team that took the championship in the annual Government-Donor soccer tournament.